Hurricane Irma blew through the Caribbean with vengeance, rendering some islands uninhabitable and leaving many residents – including dozens of Italian nationals – stranded. 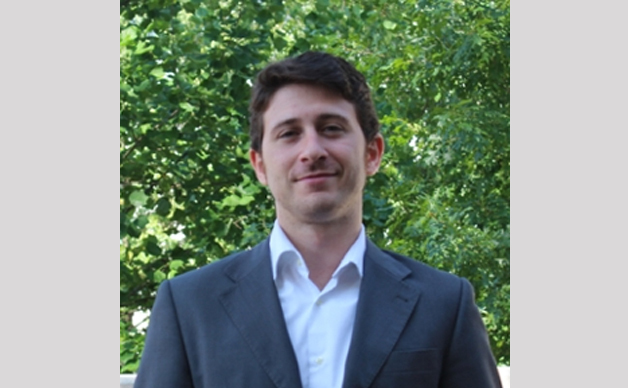 ﻿Andrea Natale 17L was in Atlanta when the storm hit, working with Emory’s Center for the Study of Law and Religion while campaigning for a parliament seat in his native Italy, representing Italians living abroad. Natale used social media, a spreadsheet, and lawyer smarts to help many Italian nationals in Florida and the Caribbean find their way to safety. When the hurricane was about to hit Florida, Natale put out a call for Italian expats in Atlanta willing to host Italians fleeing Florida. “In one afternoon, we went from five to 35 beds,” he said. One of the hosts thanked Natale for sending a chef who cooked for them during his stay. Natale and his team were contacted through his Facebook group, ItaliAiuta (Italy Helps), by an Italian family worried about their relative in St. Maarten. Natale jumped on the case. First, he gathered information from Italians in St. Maartin, the authorities, and news outlets. He learned that conditions were dire. Residents had no electricity, no reliable internet, limited food and water, no law enforcement, and no guarantee of when help would arrive. From Natale’s vantage point, the problem stemmed from the Italian government’s failure to mobilize to help its citizens. Instead, the Italian government directed citizens to work with the Dutch government as St. Maarten is a Dutch territory. But Dutch officials prioritized their own citizens. “The U.S. was there to get American citizens out, yet Italy delegated its responsibility to the Dutch,” he said. St. Kitts reopened its airport less than 60 miles away from St. Maarten, and Expedia confirmed flights from St. Kitts to Europe. Italians just needed a way to get from St. Maarten to St. Kitts. Natale contacted the Italian Consul General in Miami and told her about the evacuation route via St. Kitts. She told him of two cruise ships helping with the rescue who could take the Italians to St. Kitts. Natale and the Consul General then worked together to locate and help Italian nationals get out of the Caribbean. Another success story was an Italian man in St. Maarten who would not abandon the dog he rescued a few months before the storm hit. Natale registered him and the dog, Skip, on a cruise ship scheduled to leave St. Maarten, but the dog did not have travel documents. Natale found a veterinary clinic on St. Maarten willing to help with Skip’s documents. After much wrangling, the pair made their way back to Italy.